Who do you blame when bad things happen to good people? Who is your private scapegoat that helps you understand when barrel bombs kill children in Aleppo, or when drones blow up weddings in Afghanistan? Who is to blame for war? On many a Facebook comment, the answer is simplistic: “terrorists,” “the West,” “greedy corporations” – so rarely blamed are everyday people, who are, after all, war’s primary victims. Such quick labels are good for our psychology: they make the problem seem surmountable, the worst parts of humanity something we can banish over the next hill. That these scapegoats can also be accurate makes the situation all the more difficult; terrorists, the West, corporations, and just about every other favorite boogeyman all have a hand in starting and sustaining wars. The Americans can surely blame the Russians for the Ukraine war; the Russians can surely blame the Americans for the Islamic State. Cherry picked experience can justify anyone. But no one geopolitical scapegoat can start and sustain a war. And Colombia’s voters just proved it. First, a short overview of Colombia’s civil war. For the purposes of geopolitics, Colombia is divided between three broad regions: the Andes Mountains, which link it to Peru and Ecuador, the llanos, or plains, that link it to Venezuela, and the Amazon rainforest, which links it to no one. There’s the Pacific region as well, but from the standpoint of power, this region matters less, if only because it’s less populated and more readily isolated from foreign influence. The interaction between the three regions has long defined Colombian history. The Andes Mountains slowed the growth of advanced civilizations northwards from Peru; when the Spanish came, they found less organized resistance and more of a blank slate to build their colony. The llanos are well suited for agriculture, and so have long been the backbone of Colombian society. And the Amazon is a great place for an army to fight a 50 year civil war. That dark green is a great place to hide. The FARC war is in many ways a struggle over that Spanish colonial legacy, an attempt to radically redefine society as laid out by the early Spanish. Finding no civilization to conquer, Colombia was a third rate colony. With nothing to readily steal, Spanish power, and development, focused elsewhere. What did develop was a series of powerful haciendas, or large landed estates, as Spanish settlers grabbed up large tracts of land in the llanos. These haciendas became the backbone of the colony’s political system. The country’s 19th century liberator, Simon Bolivar, came from a family that ran such a hacienda in what became Venezuela. Haciendas were very akin to Southern plantations, minus the huge African slave system. The most powerful of the haciendas were led by caudillos, roughly equivalent to strongmen, who under the Spanish organized military defenses in lieu of royal armies. All Spanish colonies had varying degrees of these systems: all have grappled with their legacy in one way or another. While the United States also developed a landed would-be aristocracy, these were broken up by urban, Northern elites, who destroyed many during the Civil War, and the rest through industrialization. Few Spanish colonies had anything like these Northern elites. The way to imagine it is if the South had been its own country, rather than just a region of the U.S. Presume Southerners, like Brazilians, eventually realized slavery wasn’t worth the effort, and ended the practice by the 20th century. But, like the Brazilians, presume that this didn’t change the overall social structure, with a powerful, well-entrenched elite doing everything they could to continue to dominate society. In such a society, little red books purporting to save the poor from the rich would gain traction. Which is how we got the ideology of the Revolutionary Armed Forces of Colombia, or FARC. When the USSR began to flex its global muscles in the 1950s and 60s, it found Latin America a fertile ground to spread its influence. Some of this was anti-Yankee contrarianism: caudillos of all stripes resented being shoved around by their powerful northern neighbor. Others found Communism a suitable replacement for Catholicism, with its overtones of social equality, without the corruption of greedy bishops or cardinals. Nearly all Latin American poor found its siren call of land redistribution tempting. That’s because the haciendas were still around, in varying forms, dominating society, keeping their estates intact, and enforcing the 20th century’s version of serfdom. When the USSR began to fish around for allies, it found plenty in Latin America. The biggest win was Cuba, which spooked the United States almost to the point of world war. From Cuba, Soviet proxies could supply arms to rebel movements throughout the Americas. They found little support in the U.S. and Canada, neither of which had the same colonial hangovers as Latin America. But they certainly found friends in Colombia, where landless peasants, long shut out of Colombian society, took Soviet arms in the 1960s. For the Cold War, the civil war in Colombia was just another proxy war. The Soviets always put it in the “nice to have” category; the U.S. viewed it as a must have. While Soviet power was concentrated on keeping Eastern Europe under control, America felt it had to stop the spread of Communism in the Americas. Bogota enjoyed full American support to crush the FARC. The FARC responded by retreating to the vast, lawless Amazon, and to the underground of major Colombian cities. To survive, the FARC took advantage of the cocaine trade, which morphed it from an idealistic guerrilla force fighting for Soviet-style land redistribution to an ideologically bankrupt drug army. It became the model now honed by many Mexican cartels: ruthless, selfish, and brutal. Because Colombian governments could never wholly govern the Amazon, geopolitical space existed for the FARC so long as either the Soviets gave them arms via Cuba or the cocaine trade made up the difference. Still wedded to the idea of taking over Colombia’s state, the FARC found itself carrying on its murderous war despite the fact that its main business was drugs. Meanwhile, leftist forces beyond the FARC tried to go mainstream. But the well had been poisoned: right-wing caudillos butchered thousands in the 1980s. Having suffered attacks on their interests throughout the 1960s and 70s, and realizing that greater democracy in Colombia could well end up breaking up their power, the caudillos also had an interest in creating enough violence to perpetuate the war. In the context of the Cold War, they knew they could count on American support. When the USSR collapsed, American interest in Colombia’s war waned; the FARC was little more than a two-bit drug ring, in the American view. Colombia got the aid it needed to fight a war on drugs rather than Communism. Repeated peace processes failed throughout the 1990s. Each time the FARC fell back to the Amazon, diminished but not defeated, while the Colombian state, reinforced by the Americans, began to finally encroach upon its jungles. The FARC carried out the kind of brutal terrorism characteristic of losing insurgencies, hoping to force their enemies to pay a steep price for victory. Instead, that engendered deep hatred. Led by Alvaro Uribe, whose own father had been killed by the FARC. When President Uribe took power in 2002, he did so on an open platform of defeating what remained of the FARC. Finding President George W. Bush amenable to the policy, and with access to America’s increasingly good anti-insurgency warfare tactics, Uribe spent most of his presidency trying to annihilate the FARC. He made strong progress; by the time he left power in 2010, the FARC was a shell of its former self. Targeted killings hollowed out the FARC, just as the Americans were doing the same to al-Qaeda. The FARC continued to get some aid from Venezuela, eager under Hugo Chavez to bloody an American ally, and Cuba, but neither were a substitute for the USSR or the cocaine trade. As the coke trade routes fell under Mexican cartel power, the FARC’s traditional source of revenue fell. Meanwhile, increasingly powerful Colombian forces were slowly corralling the FARC into oblivion. Public support swelled against them; having killed tens of thousands over the decades, few families didn’t have a victim of the FARC. While once able to carry out large-scale operations in Bogota in friendly neighborhoods, the FARC now found itself isolated in the jungle. When President Uribe left power in 2010, the FARC was coming under the sway of leaders no longer willing to die for cocaine or Communism. In 2012, they sued for peace. And one would think that Colombians would rush to take such a peace deal. The new Colombian president, Juan Manuel Santos, promised that he would put any such peace deal before the people in a vote. Having secured peace at negotiations in Cuba, up to the FARC actually giving up munitions for destruction, it seemed like the old civil war had finally slipped into the past. But Sunday’s shock vote, by a narrow margin, throws all that into doubt. The defeat was so shocking that neither the Colombian government nor the FARC seemed prepared to resume war; they had presumed that the Colombian people would welcome a chance at quiet. But hate can go deep. With so many FARC-related horror stories, few Colombians were prepared to accept that FARC leaders and troops would walk away scot free. This seems to have been the deciding factor: yearn though they might for peace, they yearn more for their form of justice. For many, it is clear, if more violence will give that to them, then that’s acceptable. Rationally, it would make sense to take the deal, disarm the FARC completely, and then deal with them as Colombia sees fit. Peace deals, after all, can be broken, especially once your enemy has no guns. But that was clearly not the thinking of many voters. Few analysts think the civil war will resume; the FARC is shattered, and its nearest ally, Venezuela, is in utter chaos. Rather, it means President Santos must negotiate a new, harsher deal, one that will doubtless gut the FARC even further, and presumably will ensure it cannot become a legitimate political party. The FARC may split up; there is, after all, even now a Real Irish Republican Army that seeks to continue fighting with the British. Such factionalism could result in a new round of violence, but doubtless smaller than before. It would merely prolong the inevitable. But there are wider lessons here: namely, that war can carry on because common people want it to. Even in relatively poor countries, as Colombia still is, war is preferable to some than an unjust peace. There are horrific lessons here that ripple out across the globe: as we are bombarded by the images of Aleppo, it would suit us well to remember that that civil war goes on because many Syrians cannot tolerate peace under the rule of their enemy. We should think of that too in eastern Ukraine, in South Sudan, in eastern Congo, in Somalia, in Islamic State-occupied Iraq, and in any other place where hate trumps reason. In such war zones, a clear winner must emerge. Their enemies must be defeated and destroyed. The locals will accept nothing less. A gross oversight for a headline; thanks! Really good article, I really enjoyed reading this backstory, and the final paragraph explains a lot about war mentality in civilians that many don’t realize exists. Really makes one think. Thanks very much! I think that’s the biggest take away too: we’d like to believe war is the remit of only the elites, but sometimes we the people want it too. What makes you think the Colombian people as a whole wanted this? Isn’t the low turnout for the vote worth addressing? Wouldn’t the recent hurricane and the fact that right-wing paramilitaries still patrol the countryside with the government’s blessing sway who could go out and vote? There is solid evidence, as you’ve presented, that the vote may have been different minus Hurricane Matthew and other considerations. But alas, democracy goes by the day of the vote: this was a clean vote, even if turnout wasn’t as high as it might. Thus those who didn’t vote are bound by those who did; that define the behavior of the state. The conundrum is that those most interested in carrying on a war are perhaps those most likely to vote. 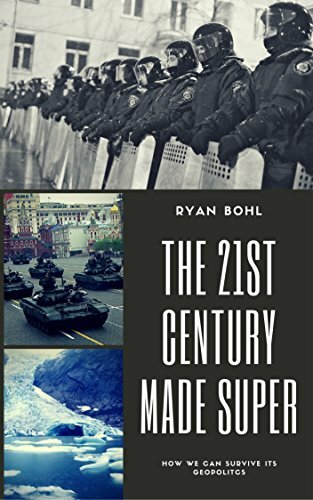 What does that bode for the 21st century? If only the hawks are willing to cast ballots, what does that mean for global stability and security? Previous Previous post: Duterte Wants To Ditch America For China and Russia, But Can They Bite?